If you are looking for a dependable Renovation Contractor in Downers Grove, contact the experienced team at Cypress Hill Development. Our company has been working together for the past 15 years, and prior to coming together we had a combined 25 years of experience in the fields of real estate, construction, and corporate finances. Get in touch with Cypress Hill at (630) 241-9330 to discuss how our renovation contractor in Downers Grove can assist you. Prefer email? Send us your questions or information to info@cypresshilldevelopment.com or fill out the contact form on this page and our experts will contact you shortly. 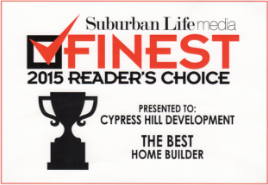 For your renovation project, Cypress Hill has the experience and skills you can trust. 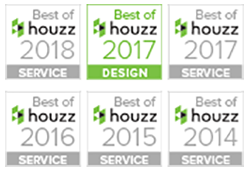 Our professional team can guide you through the design process of your renovation and then get to work with our trusted contractors to make your project a success. Our renovation contractors have a great reputation for using high quality building materials that ensure your renovations are built to last. We stand behind our work and offer a one year warranty on our product so that you can have confidence in our work. If you are interested in going green, Cypress Hill can help. Our team is excited to offer many ways you can create an eco-friendly renovation to your home. We can cater to your green side by offering green building material like high efficiency heating and cooling equipment, energy efficient windows and doors, and high-performance insulation. Cypress Hill can build with recycled or synthetic building materials and even furnish your new renovation with Energy Star rated appliances. Get in touch with Cypress Hill at (630) 241-9330 to discuss how our professional renovation contractor in Downers Grove can assist you. Prefer email? Send us your questions and information to info@cypresshilldevelopment.com or fill out the contact form on this page and our experts will contact you shortly.